Thanks to the Army, Navy, Air Force, Marine Corps, and Coast Guard, the Hampton Roads region is considered the east coast epicenter of military activity. And because of that epicenter, we have a whole lot of military brides and grooms planning their weddings locally! 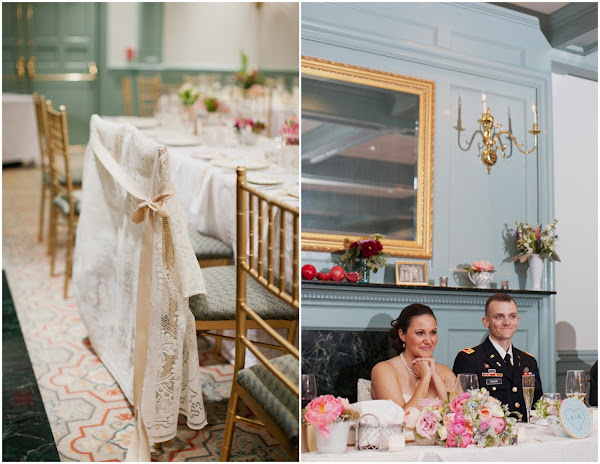 So I'm excited to introduce Layla of A Military Story here on Tidewater and Tulle today to share some of her experience as a military bride, military blog editor, and past wedding planner! A Military Story is a fully-focused military blog that shares photos from not only military engagements and weddings, but babies, deployments, and homecomings. Since the military is a lifestyle, Layla's blog is another great source of information for Hampton Roads military couples. Being part of the military is like a whole other world, and when it comes to planning a military wedding, any helpful resource is wonderful! Believe me, I know as a past military bride myself! Whether you're planning a large 200 guests wedding filled with military traditions or eloping and keeping only some military traditions, this advice will hopefully help you with the process. The key point to keep in mind is to be flexible; it's the military lifestyle through and through, even for weddings. Church Ceremony or Civil Ceremony? Small and Intimate Party or Bigger is Better Reception? Is there a key theme, color, or inspiration? What military traditions do you want to incorporate, if any? Decide on your wedding's style. Decide on and book your venue. Weddings today can be filled with pressure to overspend, over-impress, and be over-the-top. Military brides are overwhelmed with images of super expensive weddings and with messages insisting that they host the "event of the decade." It's easy to get caught up in all the extravagant wedding pictures and ideas. Remember, it's not a competition. The most important thing to keep in mind when planning your wedding is to be true to yourself. You may not have the most expensive flowers or a 20-tiered cake, but if everything suits your personality, it will truly be the perfect wedding. At the end of the aisle and wedding day, it's ultimately about the love you share for one another. Weddings should be about you as a couple, have the wedding YOU want - do things your way, military style or not! So with all that said, take a deep breath, and remember you don't have to plan it all in one day or one week. Work, holidays, bad days, whatever gets in the way, just keep plugging away at your to-do list, and remember to keep the LOVE strong between you and your significant other. After all, that is why you're doing all of this right!? There are some amazing organizations that help military couples either during the planning process, for their weddings, or after the wedding for long-term. A national charitable organization uniting military brides and bridal salons across the country for a common purpose by supporting our troops and their families. This is a fully volunteer organization that offers professional photography sessions to military families and members who are getting ready to deploy, who are currently deployed, or those who are coming home. Another great national nonprofit organization that serves military couples through photography. This is a fabulous organization that provides free-of-charge weddings, allowing couples facing serious life-altering circumstances to concentrate on the issues affecting their lives. While generally thought for only couples facing terminal illness, WUAW grants a limited number of Wishes to seriously-injured military veterans. Are you a military bride or groom? Share your story in the comments below! 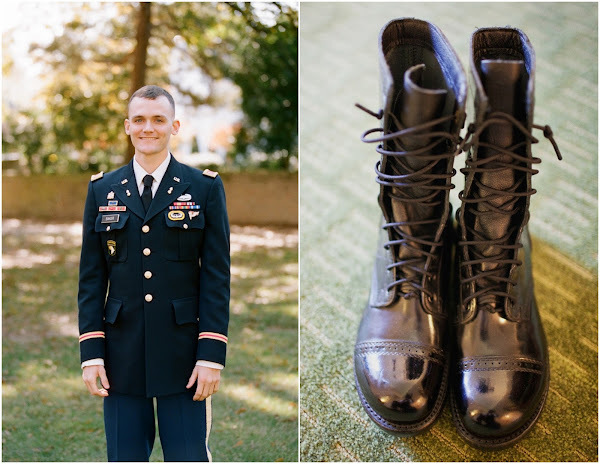 Get to know Layla and more military wedding goodness on her Pinterest and Twitter. All photos from Jodi Miller Photography. The entire Williamsburg wedding feature along with vendor credits can be seen on A Military Story.